With your belongings safely tucked away in a storage unit, it’s easy to forget that they may get dirty over time. However, no matter how secure your storage unit is, nothing is safe from dust. Dust does more than trigger allergies; it can also be damaging to furniture. Instead of making weekly trips to clean your storage unit, consider these ideas to keep your items safe from dust. Place small items in plastic bins that you can close with lids. This will help to keep dust out, but make sure you secure the lids tightly before placing them in your storage unit. Airtight bags can also help to protect smaller items. 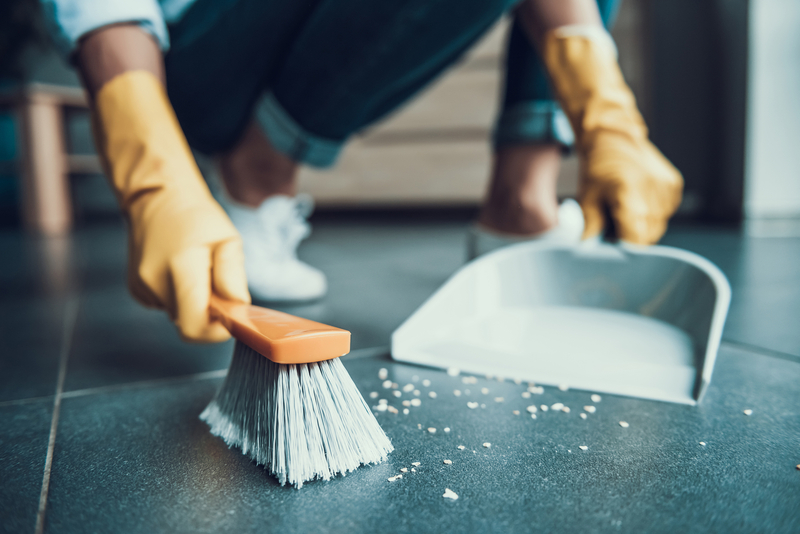 Sweeping and dusting your storage unit is essential to keeping your items clean and fresh, but it might start to feel like a hassle if you have to lug your cleaning supplies over each time. Do yourself a favor and keep a broom, dustpan, and dusters in the storage unit. This will save you time and make it easier when you stop by to clean your things. For larger items, plastic tarps can work to keep dust off the furniture for short periods. However, dust will stick to the plastic, which can make a mess when you unwrap it. In cases of long-term use, plastic can wear down over time and rip leaving openings for dust to get in. Blankets are a better option for covering furniture. Not only do they keep the dust out; they’re also soft enough not to scratch your furniture. If you’re storing a mattress, purchase a mattress cover to keep it safe from dust while it’s being stored. If you don’t have a mattress cover, you can purchase one from the storage facility. If you plan on keeping your items stored for a while, use shelves to keep things up off the floor. This will make it easy for you to sweep out the unit periodically to cut down the accumulating dust. Open up the door of your storage unit and let some fresh air in. This helps to eliminate and prevent the musty smell that comes with closed off spaces. Even if you’ve opted for a climate-controlled unit, airing out your items every once in a while can still help keep things fresh. Looking for a safe and secure place to keep your items? Kihei Maui Self Storage has you covered. With three convenient locations, this locally owned and operated self-storage facility offers climate controlled units and month to month leases for your convenience. They even offer discounts for military, police, firefighters, and ocean safety. Check out their website to learn more about their specials or give them a call at (808) 891 8400 in Kihei, (808) 986-8484 for Kahului, or (808) 442-7400 for Wailuku.